The billboards you pass on your commute to work only reach people in their cars, and there are so many that it can be difficult to stand out. Instead of going after traditional billboards, consider advertising in the sky with an innovative aerial billboard. No matter where your audience lives, works or plays, you can reach the entire crowd with a great flyover at the right time. 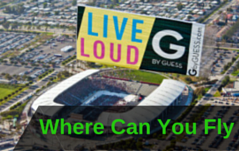 Billboard aerial advertising is already a proven tactic for attracting attention — whether your fans like NASCAR and the NFL or you want to reach everyone at the beach, a music festival or running marathon. 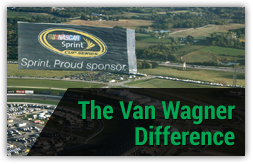 Van Wagner Aerial Media stations planes every day, which means your aerial billboard can be ready to go without any additional logistics or costs to put a plane in your message. 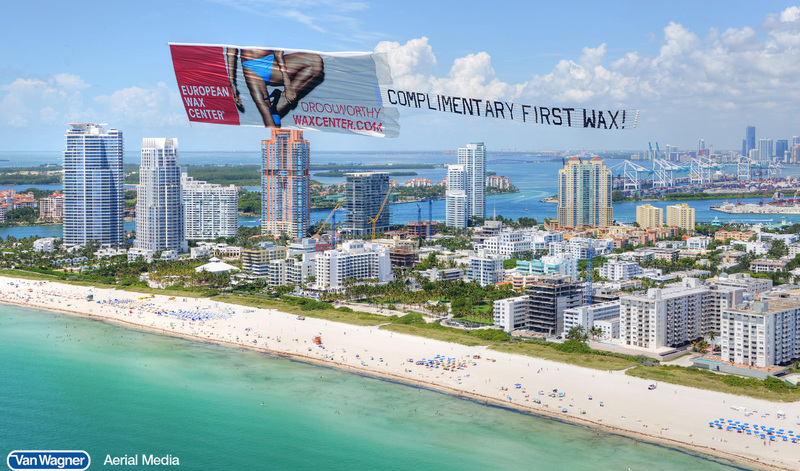 Aerial billboards also help get your message everywhere you want it. We’re the only true national aerial advertising company capable of orchestrating multiple campaigns in various markets with planes stationed in cities from coast to coast. We can create a fully-customizable campaign that is unique to your brand, and we can get it in the air quickly. Aerial billboards aren’t like any other form of advertising, and that’s why you get access to expert consultants for every single flight. At Van Wagner Aerial Media, we have mastered what works and how to create amazing advertising experiences for your potential customers. Knowing the sky also means knowing the clouds and storms that can arise. If there’s ever a reason our pilots can’t fly due to weather, we’ll make sure every ad still flies. We’ll ensure your target demographics will be found at a new time with the right message and content. 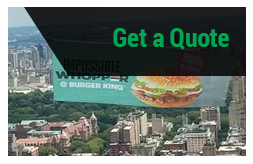 VWAM can handle all of the logistics for your billboard aerial advertising campaign, and we’ll partner with you whenever you need it. Our in-house creative professionals can design an enticing banner and have it properly built, stored and flown. If you’re interested in starting your next billboard aerial advertising campaign, contact our team today. We’ll help you understand your options and provide a free quote on a top advertising effort.